The first man arrived and work, thinking hard about the things he needed to do that day. He entered his office and put down his papers. 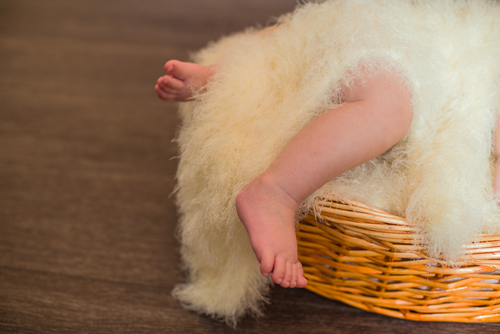 On his desk was a large basket, and inside that basket was a sleeping baby. The first man didn’t stop at his desk, so he did not see the basket. Instead he went straight to his computer and began the work of the day. The second man arrived at work and went to his office. He was bored with work and wanted to think about changes that he could make that would help him climb the ladder of success. He sat in his chair and stared out the window beside him. He dreamt of things that could happen to save him from the work he had to do. He did not see the basket on his desk, and the little baby slept on in peace. The third man arrived at work, hoping for something that would bring him to the attention of the world. He went to his desk and sat down. He looked at the list of things that he had to do that day. He thought about what he might be able to achieve in the meeting later that afternoon. He looked around him at what was with him at that moment. His eyes fell on the basket on his desk. He looked into the basket and found the sleeping baby. No one claimed the baby so the third man took him home and raised him as his own. In time the baby became a man with an exceptional ability as a designer. Together the third man and his son built an empire together using their combined skills and knowledge. Never again did the third man have to worry about how to become an achiever. As you know, fables always have a moral. 1. The moral of this story is that success never comes in the shape or place that you expect it. More importantly, you have to be looking for it before you can spot an opportunity. 2. The first man is so busy getting his daily things done that he has no time to look around. Make space in which to breathe. Take stock of where you are. 3. The second man is too busy dreaming about what might be to see what is in front of him. Dreaming is wonderful but only if you can start to see where to apply it in the ‘now’. 4. The third man sees what is in front of him as well as letting himself dream of what might be in the future. This is the way that he will be able to link his present with his opportunities. Never give up looking for your opportunity because it will come. Somewhere between learning from your past mistakes and dreaming of your future is where opportunity will be waiting. Just keep your eyes open and your brain alert. When you are ready your opportunity will be there. What opportunities can you spot today?